I tried out a couple of instant win competitions today and I won! There is nothing like the feeling of seeing ‘Congratulations’ on the screen right in front of you! They may be only little wins, consisting of 30p off a bottle of Ace laundry cleaner and packet of Heinz tomato seeds, but a win is a win! Its really nice to have these little wins arriving through the post while waiting for ‘The Big One’. I always save up the little wins and free samples I get for Christmas stocking filler presents. Its surprising how it all mounts up over the year. 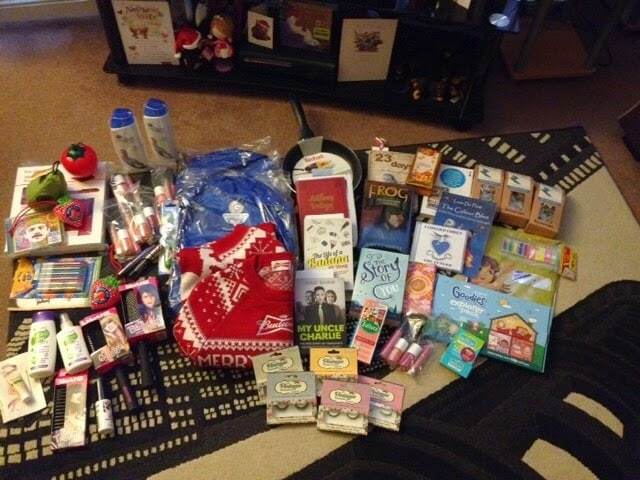 The picture above is of all the wins I won last year that I saved up for my family for Christmas. They were all amazed to how much it was. Its a fabulous money saving idea without costing a penny. My wins this year so far haven’t been so plentiful as of yet, but I’m keeping positive which gives me more determination to carry on entering! Now to find instant win competitions you just have to keep an eye out, as they crop up everywhere. I always like lots of brands on facebook as many of them run instant win comps quite often. Also check your emails if you have entered them previously with companies as they will let you know when they run new ones. 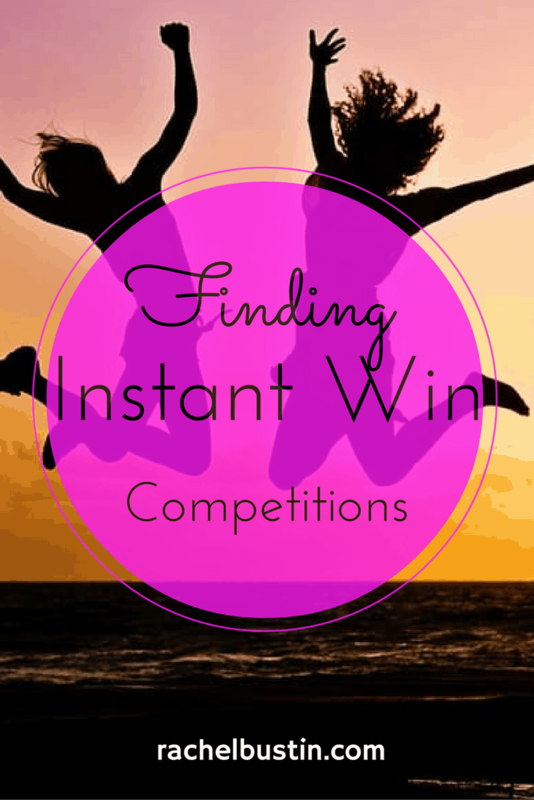 I have joined a few comping facebook groups and they normally have lists of the latest Instant Wins. Search on competition websites like The PrizeFinder and Competition Database for their instant win sections as well. I don’t use the instant win sites for slots/casino/bingo or any type of gambling websites for money. Those sort of sites are not for me and this blog and I don’t want to encourage those type of activities. The instant win competitions I take part in are for small wins and vouchers. Do you have any favourite instant win competition websites that you use? As always I love to hear your thoughts.